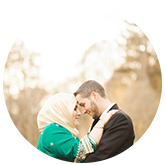 Review From Bushra & Saleh for Wedding Photography "I HIGHLY recommend Saleema. She did the photography for my wedding and till this day when people see my pictures they wanna know who did such an incredible job. I'm not photogenic at all and somehow with her amazing skills I loved the way I came out in my pictures. She is an extremely talented woman." 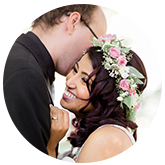 Review From Amy & Don for Wedding photography "We are very thankful. Saleema really made our day extra special. Looking at the pictures brought so much laughter and memories. I would not change a thing."